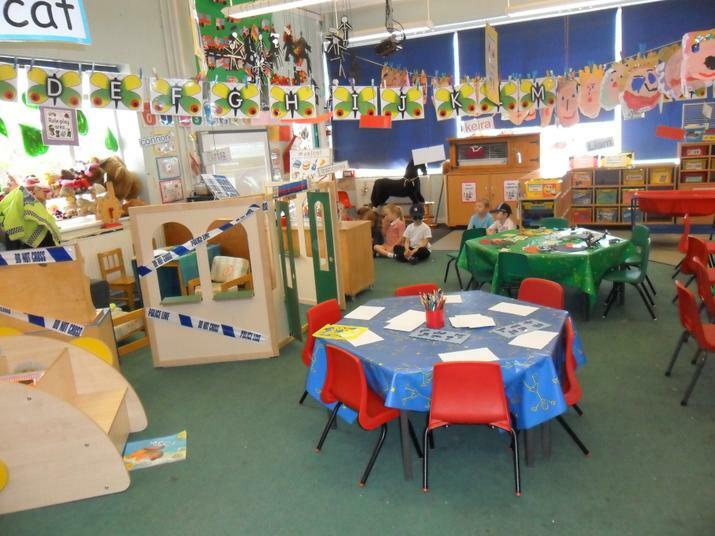 The Hereward Nursery provides a vibrant and educational indoor environment for the children. A number of different areas are set up daily with exciting activities planned relating to the current weekly topic. The Nursery teacher conducts exciting hands-on phonic activities every session which involve much enthusiastic participation on the part of the children. The children also are provided with many opportunities to discover the world of numbers in every aspect from counting tadpoles to creating their own glitter numbers. We provide a cosy reading corner where children can go and enjoy looking at books. Tables are also set up daily with Literacy and Mathematics games or activities where children can learn in a fun way through play and guidance from an adult. The children have the opportunity to explore all the other areas in class at their own leisure. We have a large art area containing a range of resources where children can explore their creative side in whichever way they prefer. The water trays are filled with exciting equipment and are also used to encourage children to learn about capacity, measuring and sinking and floating.